Source: The current track. 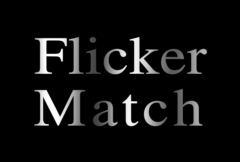 The clip to add flicker to. Match: Selectable. The clip to copy flicker from. Pressing this button sets the Match Level parameter to the average Match clip brightness in the rectangle at the current frame. It causes the output to equal the Source at this frame.